This is it guys. 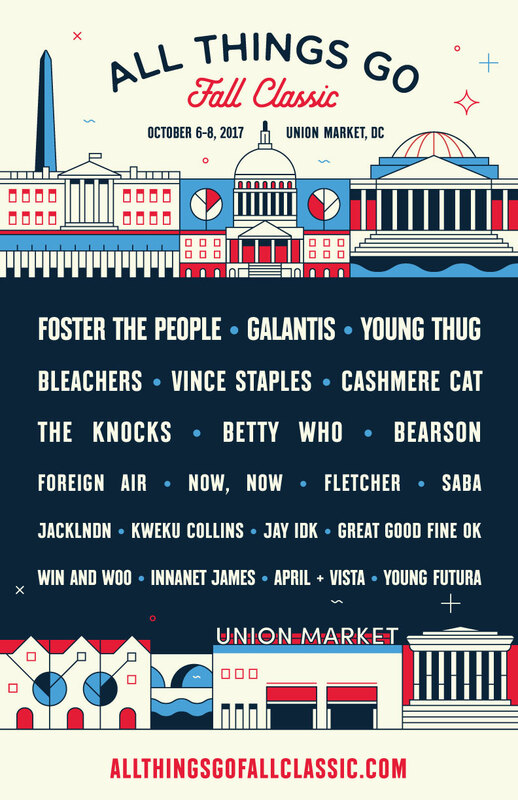 Foster The People, Galantis, Young Thug, Vince Staples, Cashmere Cat and more will be performing at the All Things Go Fall Classic 2017, October 6-8 at our original stomping ground of Union Market. Early Bird Single-Day and 3-Day passes are available now. Get yours while they last.